Cusp Dental provides Porcelain Fused-to-Zirconia crowns (PFZ), Full Contour Zirconia crowns (FCZ) and Lithium Disilicate crowns (e.max). 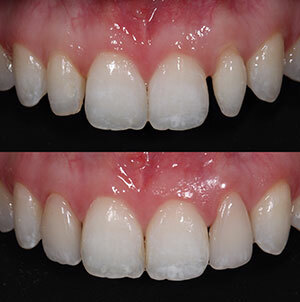 PFZ using KATANA zirconia framework and Noritake CZR (Cerabien ZR) feature a high flexural strength (over 1100 MPa) and overlay porcelain leads to an excellent esthetic outcome and fit with maximum strength to meet patients’ high esthetic expectations. 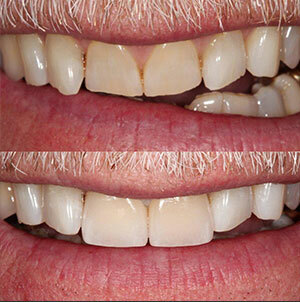 These are ideal for single crown in the posterior as well as anterior to full-arch bridge restorations. FCZ, a monolithic material, features beautiful highly-translucent, pre-colored, multi-layered, with flexural strength for KATANA STML of (748 MPa) and UTML of (557 MPa). 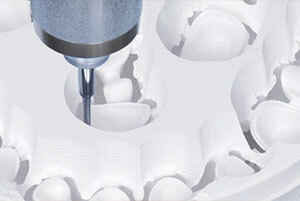 Using this material, we deliver crowns, bridges (up to 3 unit), inlays and onlays that maintain strength while providing unique gradation layers from dentin to enamel. 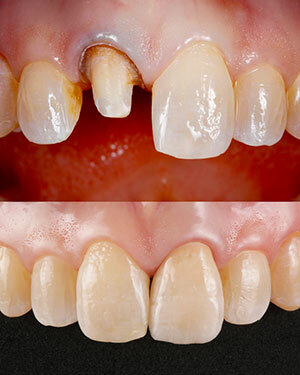 FCZ materials are designed to achieve superior esthetics and provide time-saving and cost-effective benefits. 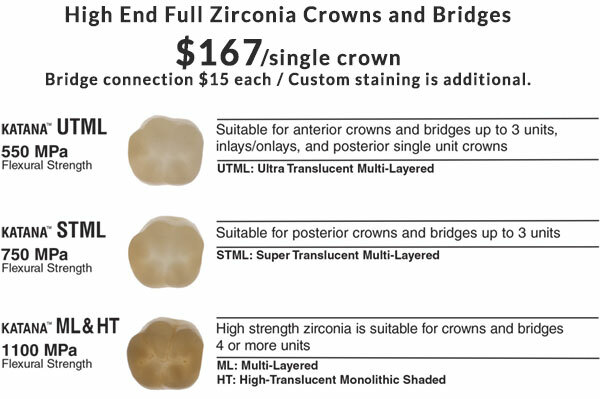 Options to use a higher strength zirconia exist, such as KATANA ML or HT (both over 1100 MPa) for limited occlusal clearance or bruxism patients. Lithium Dicilicate (e.max) is highly esthetic featuring high flexural strength (now 500 MPa). We generally use this for monolithic crowns or a thin-layered porcelain to exceed the esthetic outcome.